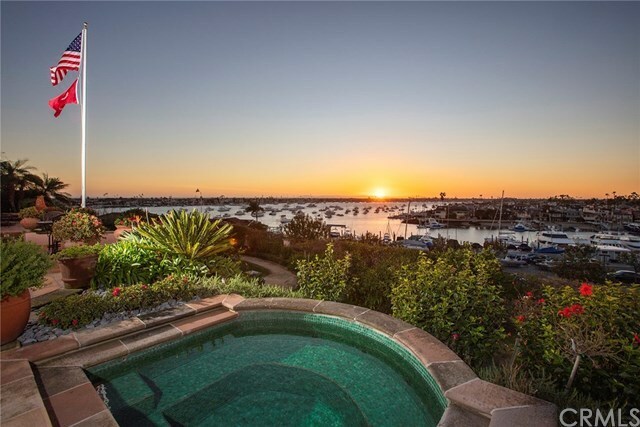 Seize the rare opportunity to live atop one of the most coveted waterfront views in Corona del Mar. Three bedrooms and three-and-one-half baths are encompassed within this estateâs generous nearly 3,700 square feet of living spaceâand outdoors, approximately 113 linear feet of unobstructed view frontage showcases incredible vistas of the California coastline, from the Newport Beach Harbor and Balboa Pavilion all the way to Catalina Island. The home has been in the same family for several generations and has experienced many heartfelt celebrations of life; now it is just waiting to become a cherished dream home for a new generation. The property truly captures the essence of classic Spanish architecture with its authentic attention to detailâbut if you have a different artistic vision for the oversized lot, this is your chance to complete entirely new construction from the ground up.